Technology has revolutionized the way we live; it has become the backbone to most sectors and industries around us. Can you imagine for example the banking sector, the medical sector or the media sector without technology? I believe nowadays in our homes we can settle for the shortage of any utility but not the Internet. We cannot imagine our lives for few days without Internet or without our smart phones. Having done all this to the other sectors, it was a matter of time that technology will also enter to the education sector and do some enrichment there. What technology did to the other sectors was giving them chances to do things that weren’t possible before; it basically enhanced their work and took it to some new dimensions. It is expected that technology will do the same for the education sector. I’m always against compelling teachers to use technology just because everyone else is, or because it’s a popular trend now that teachers need to keep up with. If that’s the case then the implementation plan will not be successful. The best way I did with all the teachers I worked with was giving them the choice and allowing them to decide. Teachers are reasonable professionals who need to know the “why” we are doing this? 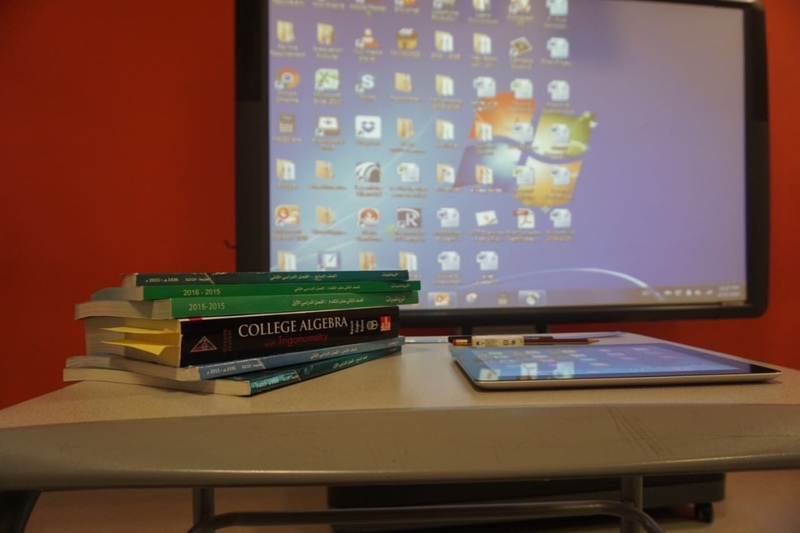 how can technology help me and my students? What can it add to my lessons? How can it enhance students’ learning? Once teachers experience the answers to these questions they will be fully invested in implementing technology in their classes, after all that’s part of the teachers’ ultimate goal which is identify and use strategies and tools to enhance their students’ learning. As teachers we work using student centered approaches, which means when we put the student in the center of the whole teaching/learning process. We need to know our students very well so that when we plan our lessons we always take into consideration our students’ needs, abilities and interests. We can all agree that technology comes on the top of the list of our students’ interests so that should always push us to think of ideas and means to implement technology in our classrooms to better engage our students. Doing this will be addressing the number one challenge we face in our schools and that is “Lack of students’ motivation”. Students aren’t motivated to attend our lessons, to work or participate, for some reason these lessons aren’t engaging them or encouraging them to show up to school motivated to learn. Introducing technology will motivate students since we will bring some of the tools that they like to use and spend hours daily working on, into the classroom. They will be excited to learn since we will add the fun part to the lesson. We always talk about the 21st century skills and how we need to prepare our students for life and for future careers. Technology helps our students gain some essential skills that are needed in all careers like having presentation skills, collaboration skills, being creative and able to communicate with others and not to mention some advanced technical skills like coding, programing etc..
At the end I would like to say that technology is here to stay. There are lots of success stories and best practices about using it in the classroom. There are also lots of unsuccessful stories but for us as teachers to share our own story we need to try first. I encourage all teachers to try and use technology in the right way in their classrooms and figure out the results by themselves. I also encourage teachers to seek out advice, support or sometimes guidance from other fellow teachers and specialists who have tried this and collaborate for the best interest of our students. I am more than happy to assist in this process and I’m sure there are lots of fellow educators more than willing to do the same.